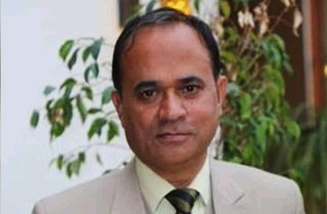 A memorial event was held at Bahawalpur’s Government Sadiq Egerton College on Monday as classes resumed following the murder of Associate professor Khalid Hameed last week. Prof Hameed was stabbed to death, allegedly by a third-year student, on March 20 over what the youth vaguely described as the academic’s “anti-Islam” remarks following a heated exchange over the arranging of a “welcome party” at the college. The event, which Hameed was to oversee, was scheduled to welcome new students to the college on March 21, police had said. Police sources earlier told that Hussain was averse to the event being organised because he viewed the mingling of male and female pupils at the function as “un-Islamic”. The college, which had remained closed the rest of last week, reopened today, with classes and other academic activities resuming as per schedule.